Every time I mention to people that I love to tent camp – I get looks of dismay. Of course it’s a whole different story when you tell a kid you love to tent camp. They’re usually right there with you. 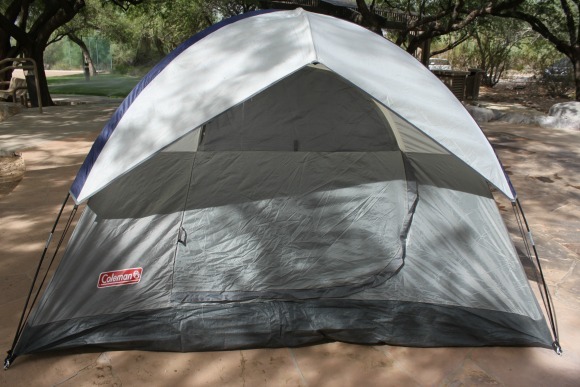 But I find that when I dig down into the why that people don’t love tents is a lack of know-how. 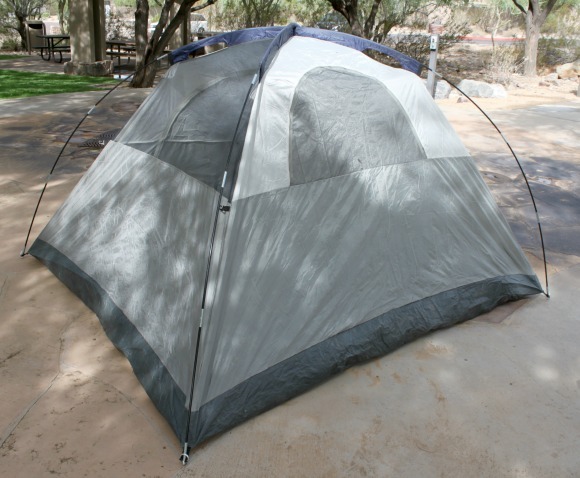 Most inexperienced campers simply don’t know how to set up a tent. 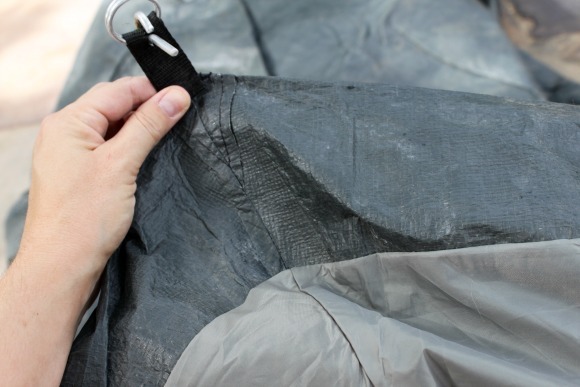 But I’m here to walk you through basic tent setup step-by-step. It’s incredibly easy! I encourage you to get out your tent and practice setting it up with me. Do it in your front room or your front or back yard. Get your kids involved. There is nothing better than a camping trip where the kids can set up your tents while you do other things. Here are some very quick definitions to get you started. 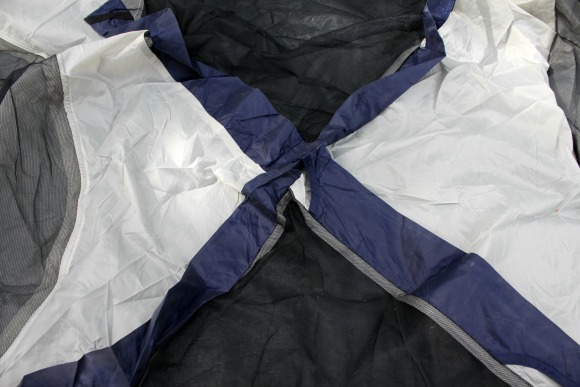 There are scads and scads of great, quality tents on the market for very reasonable prices. 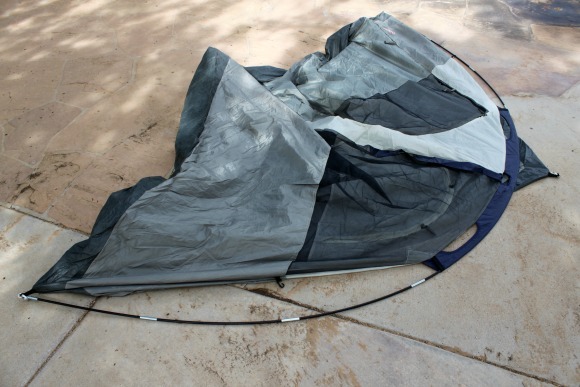 I highly encourage you to borrow a tent from a friend before you commit to buying one. 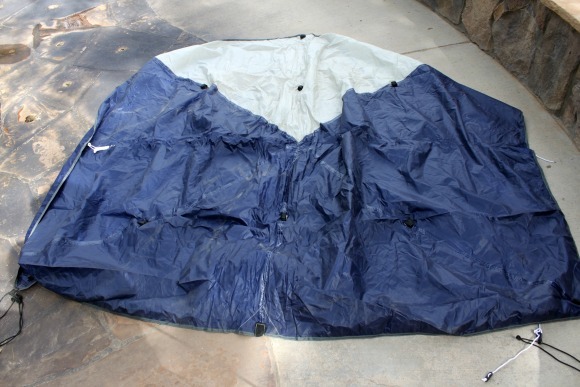 If you don’t like it – then you have a tent you have to deal with storing or getting rid of. No sense spending money you don’t have to. Most of my friends who are campers are more than happy to spread the love and loan out their equipment – especially if it means that they might have another friend to camp with in the long run. 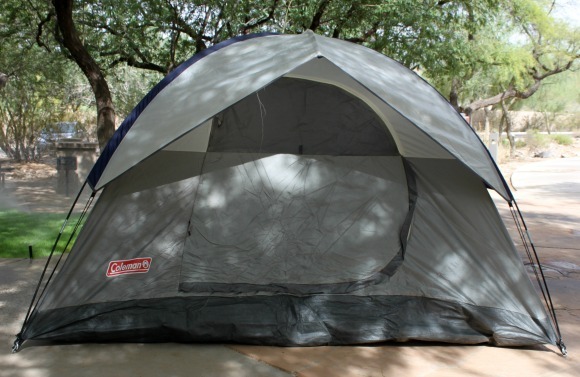 My personal favorite is a dome tent because they’re easy to set up, versatile, and inexpensive. Plus, they pack away into a tiny little bag so they’re great for those with limited storage or smaller vehicles. One of my Girl Scout troops owns multiple tents so I grabbed one of those to use for the pictures. 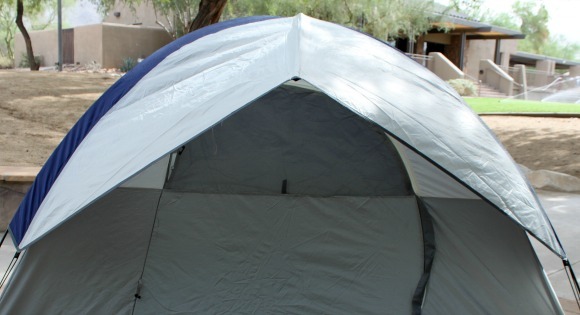 I taught my third grade Girl Scouts to pitch this tent on their own – it’s that easy to set up! 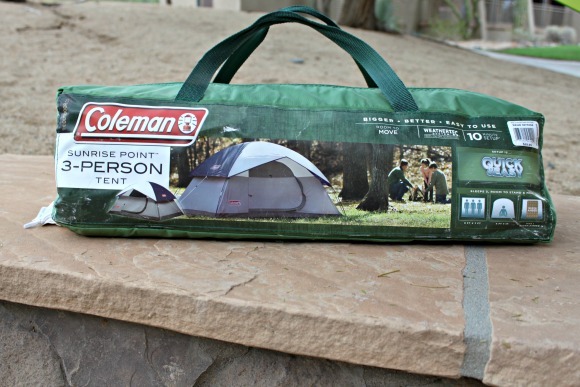 Although the tent pictured is called the Sunrise Point, Coleman now calls these tents the Sundome. 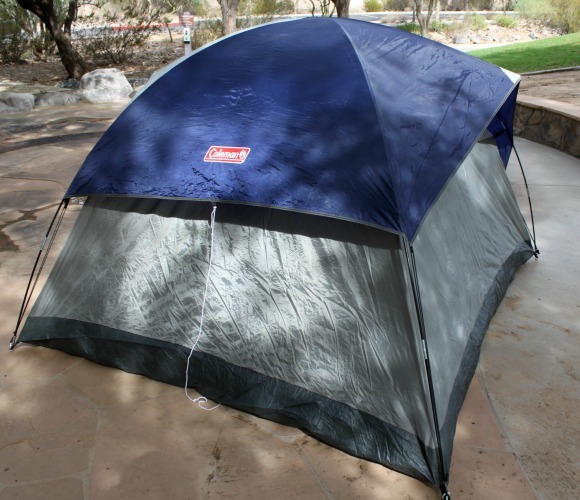 The tent pictured above has a sleeping capacity of 3 – however, it’s great for 2 adults and a child or dog or 3 children. Most of the time you’ll want room for your gear in the tent so I shoot for tents that are rated one person greater than the number of people we’re bringing. 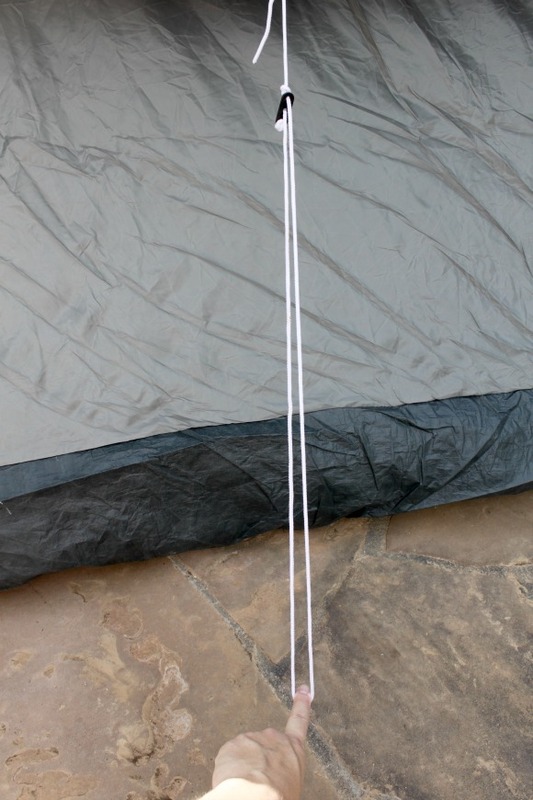 The real trick to a comfortable night’s sleep in a tent is to pick the best spot to put your tent. The smoother the spot you find – the more your back will thank you in the morning. Look for open spots with few rocks and branches. Feel free to move a few rocks or pine cones out of the way if there are no clear areas. 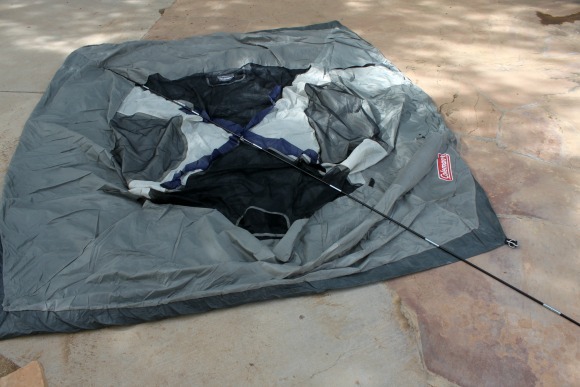 Avoid low spots in your campsite (you don’t want to find yourself in a pool of water in an unexpected rainstorm). 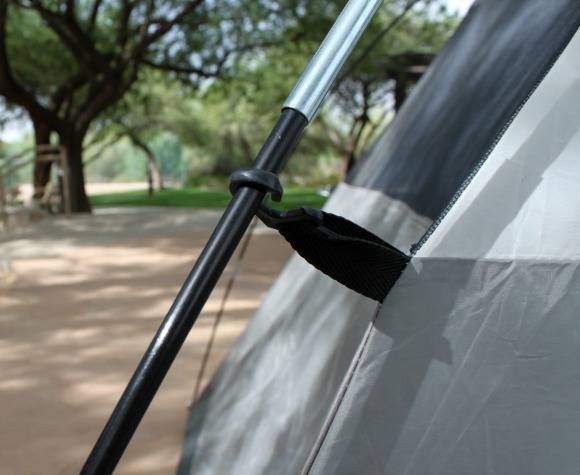 Also avoid putting your tent directly underneath trees if at all possible – a little clearance is a good thing in case of falling branches. Lastly – consider where the sun will be. 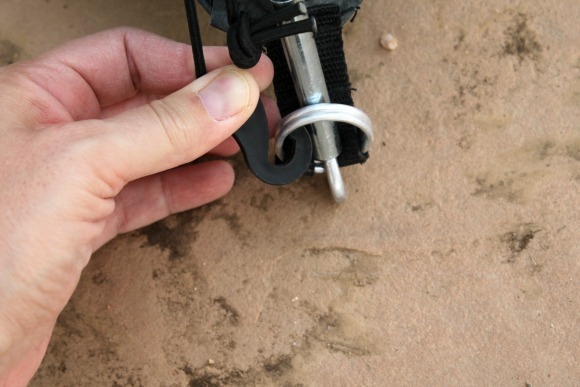 Will your tent site be hot in the afternoon? Will the sun shine through and hit you full in the face first thing in the morning? 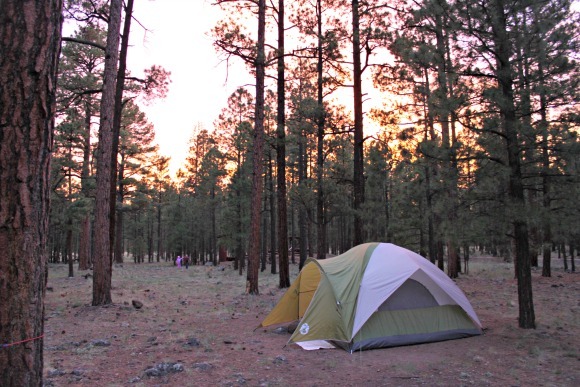 Once you’ve picked and prepared your best tent site – grab your tent and get unpacked. 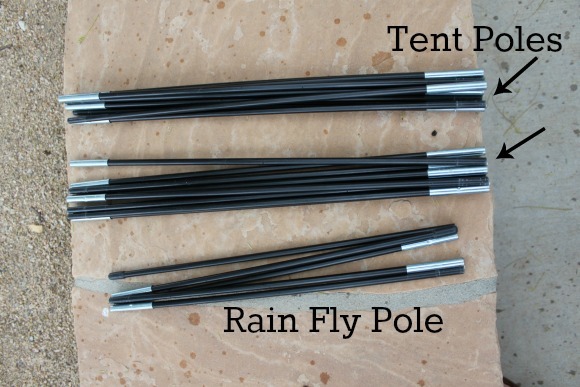 You’ll want to separate the tent from the rain fly and separate your poles into those that go with the tent versus those that go with the rain fly. First thing to do here is to lay your tent out flat. 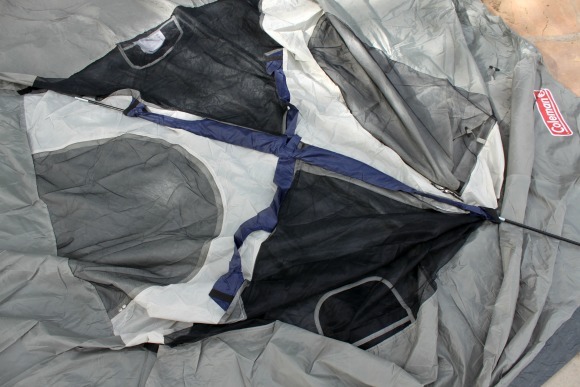 Ideally you should do this in your designated tent site, but the nice thing about dome tents is that they are stand-alone (they can be picked up and moved short distances without collapsing.) So if you need to pitch it and then move it to the perfect spot in order to reach all the sides easily or something – that’s okay. And you might be wondering where the tarp is? I don’t use one. Since I prefer bathtub bottoms – a tarp is unnecessary. 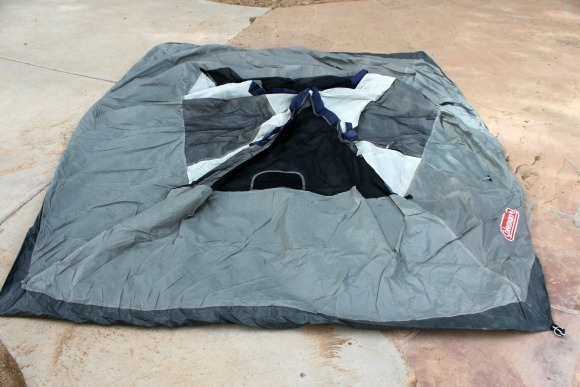 But if you’re using one that needs a tarp – shoot for one that is the same size as the bottom of your tent. It seems like overhang would be a great idea, but in reality it just creates spots for water to pool next to and under your tent. This is a shot of where the poles will cross at the top of the tent to form the ‘X’ that is the ceiling of the tent. Next, you’ll assemble your poles. They start out folded up (held together by shock-cord threaded through them.) Just unfold them and push them together to form one long pole. Here’s a shot of me threading the pole through the fabric ‘X’ at the top. Here’s a shot of the pole fully threaded through the top. 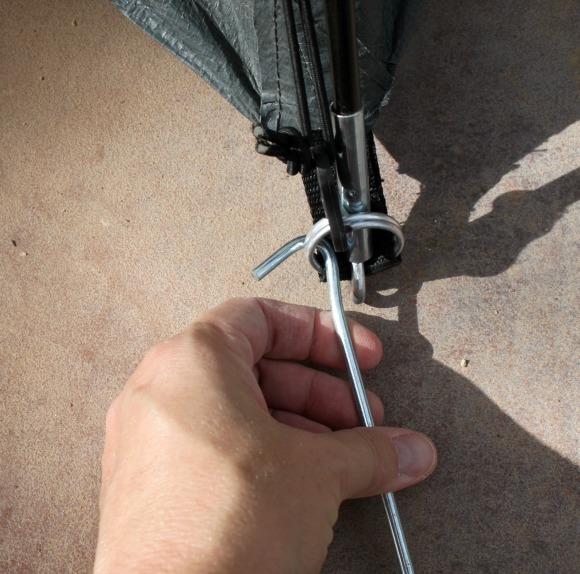 Once the pole is threaded, attach both ends to a corner of the tent bottom via these stakes. 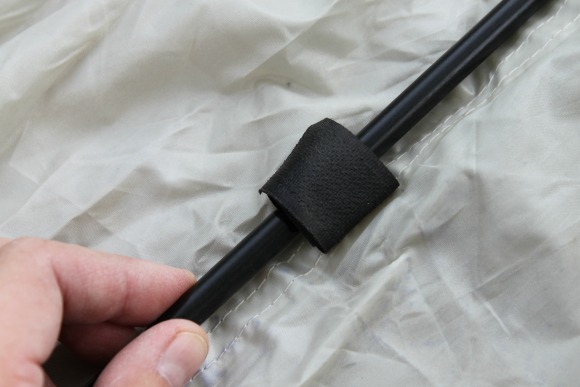 The stake at the corner pushes into the hollow end of the tent pole on each side to form a big ‘U’ out of the pole. 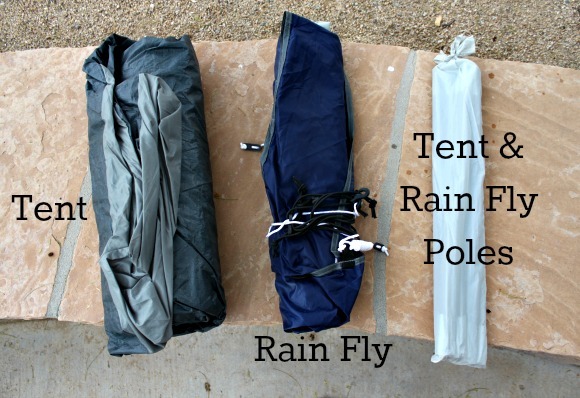 Then repeat the same thing with the other pole and your tent will have a “tent” shape. Notice how over-extended those poles look. 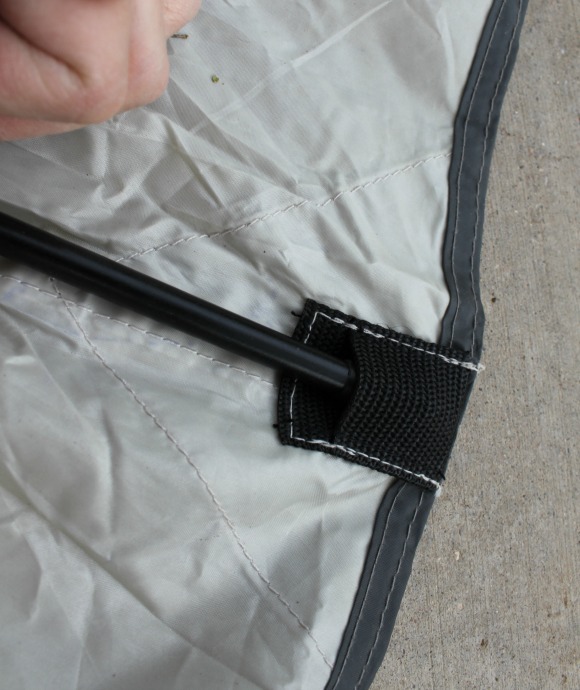 Lastly, you need to attach the little clips to the poles on each side. 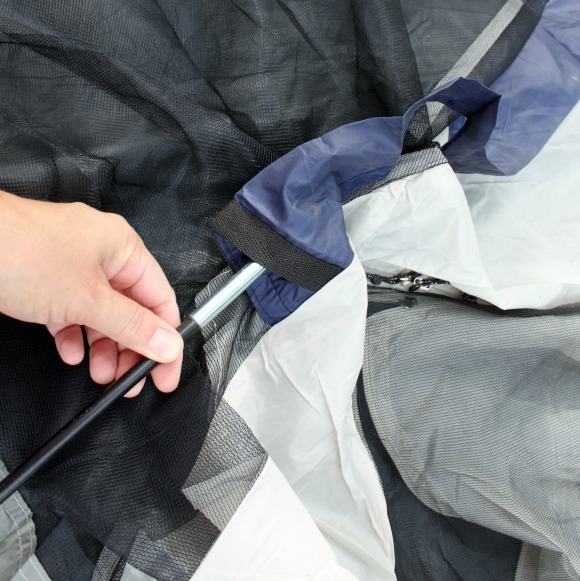 Place the rain fly over the tent and secure each corner with the straps. 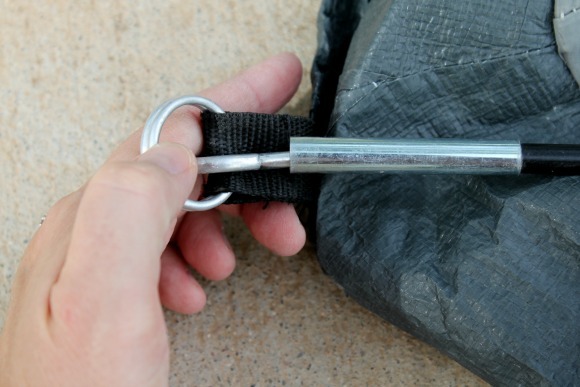 The hook fits around the loop in each corner of the tent bottom. The very last thing to do before the tent is ready is to stake it down (tent and rain fly separately.) It’s always better to do this because there is nothing less fun than waking up to a windy night and discovering the rain fly blew off. 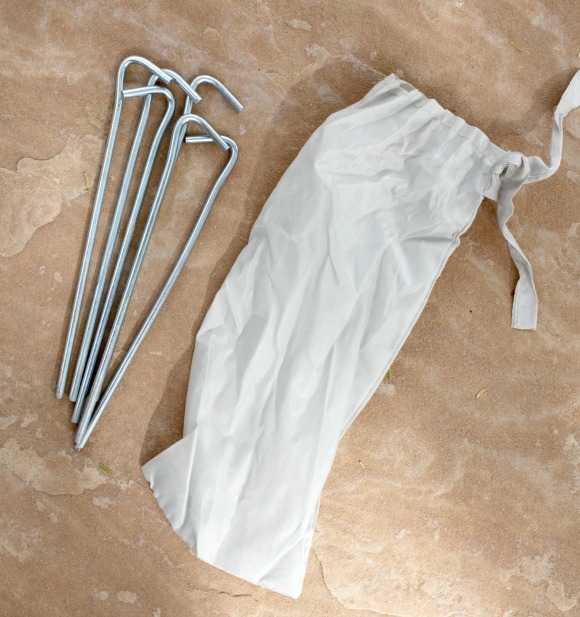 These are the basic stakes that come with most tents. There are definitely sturdier ones available, but these will do the trick in most cases. It’s also very handy to bring a small rubber mallet along to hammer these into the ground. I shot these pictures at our local park and ended up having to relocate to the concrete because the sprinklers came on unexpectedly. So try to imagine that this is earth or gravel rather than concrete! 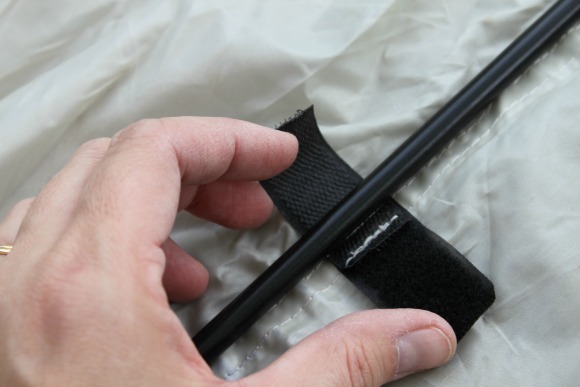 Here’s the adjustable cord for the rain fly to be staked down. 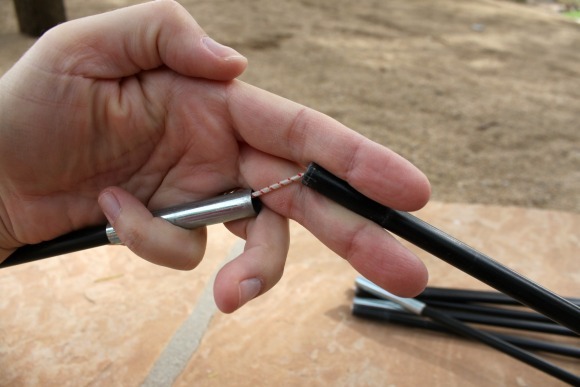 This cord allows the stake to be placed according to the terrain of the campsite. And that’s it! Now load the tent with your sleeping gear and enjoy! Guest Post by Robin Laulainen. Robin writes about camping and other outdoorsy stuff at Trek Southwest, pets every dog she meets, and drinks more coffee than she should. She blogs about her other passion - creating - at Make It Yourself Girl.